Following the experimental extremes of Eremita and Das Seelenbrechen, the latter of which was far too obtuse for many, it's good to hear Ihsahn toning things back a little and focusing on the more straightforward progressive elements of his solo career on this, album number six. That, of course, doesn't mean that this is a dumbed-down listen by any means! I'm staggered by just how well the ex-Emperor frontman has done in what has been a busy ten years for him since 2006's The Adversary; he's gone from King Diamond tributes to genuinely exciting jazz-prog to avant-garde weirdness, and we'd still be listening to and arguing about him in years to come if this was the extent of his output to date, never mind that the man is barely over 40 and will hopefully be making fascinating music for years to come. 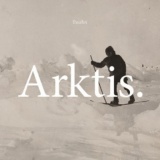 Arktis. (the punctuation is presumably meaningful) is a definite milestone in Ihsahn's career, not least for its marriage of listenability and almost irritating inscrutability. It mixes together the ear-friendly prog of earlier in his solo career, angL-y songwriting seemingly focused on his voice as much as anything, but adds in everything from eerie electronica to vocal cameos ranging from Trivium's Matt Heafy to brother-in-law Einar Solberg of Leprous. Opener Disassembled is one of the more relatively straightforward pieces, an initially tense piece that builds up with oddly creepy keyboard squeaks behind the riffs, breaking the tension with a sudden catchy chorus and some angelic guest vocals from Einar Solberg. It's a great opener, complex in its own way but not hard to fathom and introducing you to the album well. Mass Darkness follows smoothly, a faster, near semi-galloping track with a cameo from Matt Heafy that is unrecognisable, almost smothered by an enjoyably King Diamond-esque falsetto. Some of the best tracks experiment with electronica, as mentioned, like the eerie South Winds' pulsating backing to Ihsahn's snarls, or Until I Too Dissolve that opens with an ambient soundscape before turning all 80s classic metal on you with a gleefully enjoyable bit of riffing. You get the sense that Ihsahn is having much more fun making this album than he did the last couple, and it makes it more of a fun listen; I've already listened more times casually to Arktis. than I ever have Das Seelenbrechen. Not that Arktis. is without fault, however. Certain tracks just seem there and don't really add to the album, as good as they are in solitude – for example, My Heart Is of the North is interesting in and of itself for the sentiments expressed and for some stellar guitarwork, but it's hardly one of the album's most interesting or memorable pieces. Perhaps I'm being harsh, but Pressure seems a little too long for what it is, as well; a moderately catchy vocal line and some more excellent guitar playing not enough for the full six minutes. (Bonus track Til Tor Ulven (Søppelsolen) is basically a lengthy Norwegian spoken word piece, showing that Ihsahn's experimental tendencies can still get the better of him.) Yet moments like these, that perhaps readers will find more in than I did, are hardly terrible and fit in well with their surroundings, and the likes of Celestial Violence's understated yet grandiose prog and returning Einar Solberg are good enough to recommend hearing by themselves. All in all, Arktis. is an entertaining and thoughtful album that contains much brainfood for fans of this eclectic Norwegian, and no doubt much that I'll come back and reassess, as I always seem to with Ihsahn's solo work. Definitely recommended if you were put off by Das Seelenbrechen's obtuseness; it's still there, but at least it's fun to listen to this time around.